What do you do with all of those leftover plastic easter eggs? 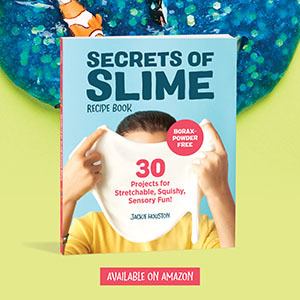 We usually save them for crafts! 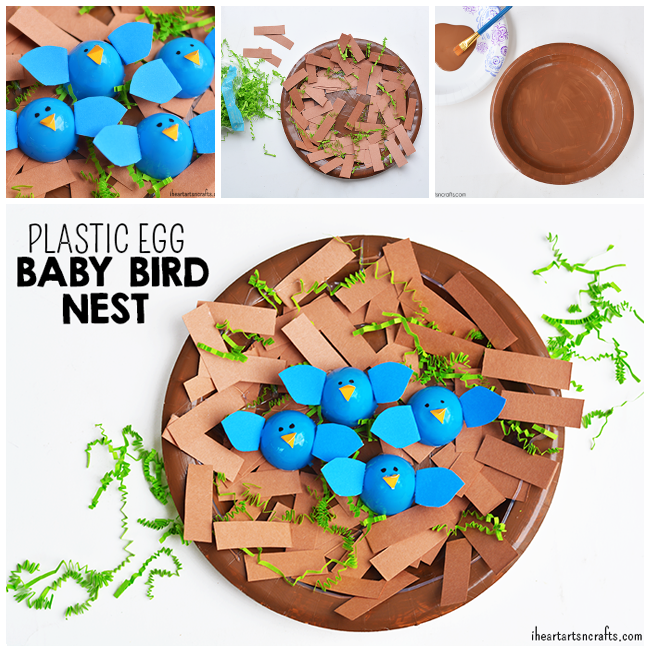 Here’s one craft project you can do to recycle those plastic eggs, a baby birds nest using a paper plate. Enjoy! 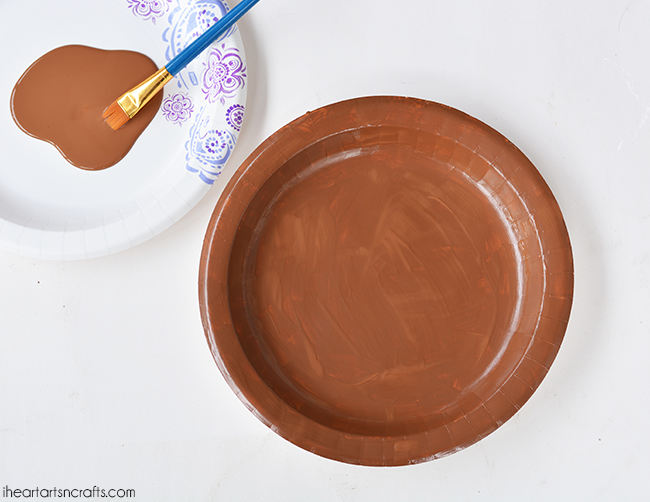 Start off by painting your paper plate brown and let it dry. You can use whatever you’d like to decorate the nest with, we just used what we had on hand which was leftover Easter grass and some brown construction paper. 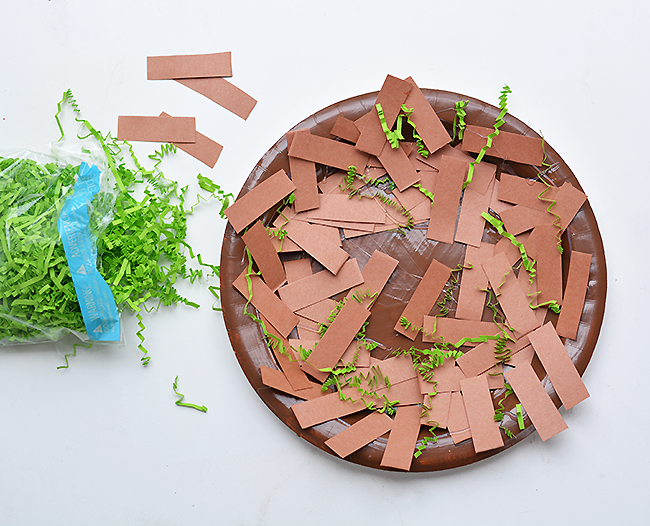 Cut up the construction paper into small pieces to represent the twigs for the nest, then add in some green Easter grass for the grass. Next you can cut out the shapes you need for your baby birds. We used blue eggs so just match your construction paper to your egg. 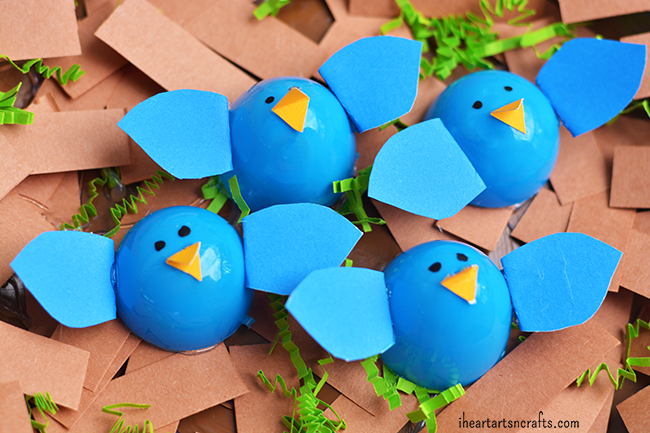 Cut out your shapes for the wings and beak then glue those onto the egg. Then for the eyes take a black marker or sharpie and add in two dots. 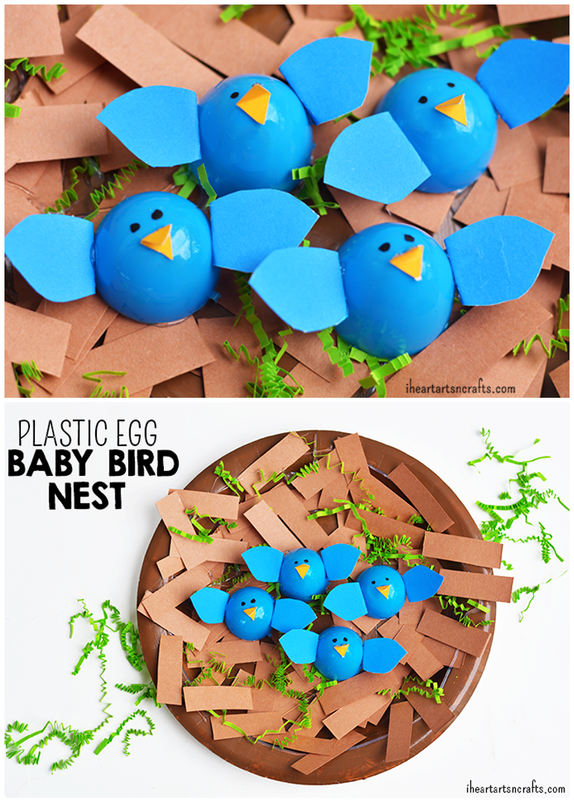 Take your glue and add it to the bottom of the bird then press them down onto the paper plate nest and let it dry. Then you’re done!